SILICON VALLEY, Calif. (B612 Foundation PR) — The B612 Foundation today announced the formation of a new science and technology institute dedicated to protecting Earth from asteroid impacts. Dr. Ed Lu, three time US astronaut and Co-founder of B612, will serve as Executive Director of the new B612 Asteroid Institute, collaborating with a team of planetary scientists and engineers from around the world to conduct research, technology development, and data analysis on asteroid detection and deflection. NASA has terminated an unfunded Space Act Agreement with the B612 Foundation, a private organization whose goal is to launch a spacecraft called Sentinel that would conduct a comprehensive search for asteroids. Its primary purpose was obtaining NASA technical consulting and agreement for B612 to use NASA tracking facilities for Sentinel after it was launched. In return, B612 would keep NASA informed of the spacecraft’s technical characteristics and progress and deliver data from the spacecraft to the Minor Planet Center…. NASA spokesmen Dwayne Brown and Dave Steitz confirmed via email that NASA terminated the agreement with B612. Steitz explained that B612 had not met an important milestone in the SAA — starting Sentinel’s development — and NASA therefore terminated the agreement because “due to limited resources, NASA can no longer afford to reserve funds” to support the project. “NASA believes it is in the best interest of both parties to terminate this agreement but remains open to future opportunities to collaborate with the B612 Foundation,” he added. According to data compiled by Pro Publica, the foundation became tax exempt in July 2013. The foundation’s tax return for 2013, which is the most recent available, shows it received $1,618,005 in contributions that year while spending $1,556,227. Net assets at the end of the year totaled $195,931. Foundation President Ed Lu received $240,000 in compensation in 2013. Secretary and Chief Operating Officer Danica Rema received $209,443 for the year. The tax return also lists an additional $271,277 in other salaries and wages. The return does not state who received this compensation. Almost half of it — $132,171 — is attributed to fund-raising expenses. In a setback for efforts to find giant space rocks that could kill us all, the B612 Foundation is not having much luck raising money for its asteroid-hunting Sentinel spacecraft. Meanwhile, a group at NASA is pursuing a satellite of its own, which is competing with two dozen other proposals for funding. NEOCam, meanwhile, would use an infrared telescope to search for asteroids from a vantage point between Earth and the Sun. In September, NASA will decide whether it is a finalist out of more than two dozen proposals being considered for launch by 2022 through the Discovery programme, which caps each mission’s cost at $450 million. Seattle Museum of Flight, three prominent astronauts supporting the B612 Foundation presented a visualization of new data showing the surprising frequency at which the Earth is hit by asteroids. The astronauts were guests of the Seattle Museum for a special series of public events on Earth Day 2014. 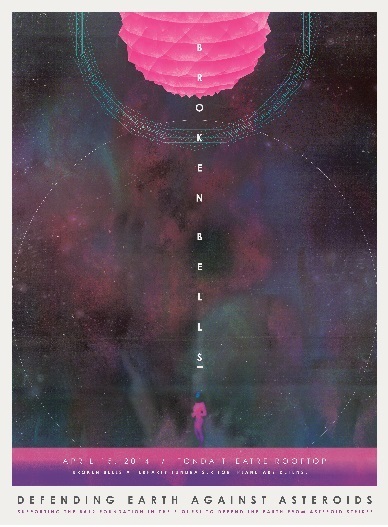 MENLO PARK, CA / LOS ANGELES, CA (B612 PR) – Broken Bells are proud to announce an exciting partnership with the B612 Foundation beginning with the band’s April West Coast tour. During these dates, $1 from every ticket sold will be donated to the B612 Foundation to help fund their Sentinel Mission, one of the most important space missions for humanity—one that seeks to protect Earth while preparing for future exploration. More information pertaining to the B612 Foundation can be found below. MOUNTAIN VIEW, CA (Sept. 17, 2013, B612 PR) – The world’s first privately funded deep space telescope mission, the B612 Foundation’s SENTINEL MISSION, has announced new support and additions to its Board of Directors, Strategic Advisory Board and increased financial support keeping the mission on track to launch in July 2018. B612 plans to launch Sentinel in 2017 or 2018 aboard a Space Exploration Technologies Corp. Falcon 9 rocket, possibly as a secondary payload, according to Troeltzsch. BOULDER, Colo. (Ball PR) — Ball Aerospace & Technologies Corp. and the non-profit B612 Foundation have signed a contract for Ball to create prototype infrared imaging sensors for the Sentinel Mission, a deep space mission to protect Earth by providing early warning of threatening asteroids. 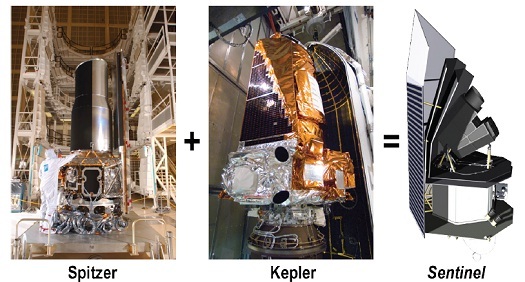 Ball’s detector design characterization initiates the first phase of developing Sentinel’s 20-inch diameter, space-based infrared telescope. MOUNTAIN VIEW, Calif., Oct. 11, 2012 (B612 PR) — The B612 Foundation today announced the formation and initial findings of its Sentinel Special Review Team (SSRT) to aid B612 in building the world’s first privately funded deep space mission to protect Earth by providing early warning of threatening asteroids. The SSRT will provide technical advice and assistance during the development and operations of the Sentinel Space Telescope mission. Members include scientists and aerospace experts independently selected by the B612 Sentinel leadership, and members assigned by NASA, which is providing technical support through a Space Act Agreement. MOUNTAIN VIEW, CA, September 19, 2012 (B612 PR) – The world’s first privately funded deep space mission – SENTINEL – received major support this week from prominent members of the business and financial community who joined the B612 Foundation’s Founding Circle. Founding Circle Members not only contribute substantial funding to the mission, but also pledge continued support in multiple areas of finance, technology and science. 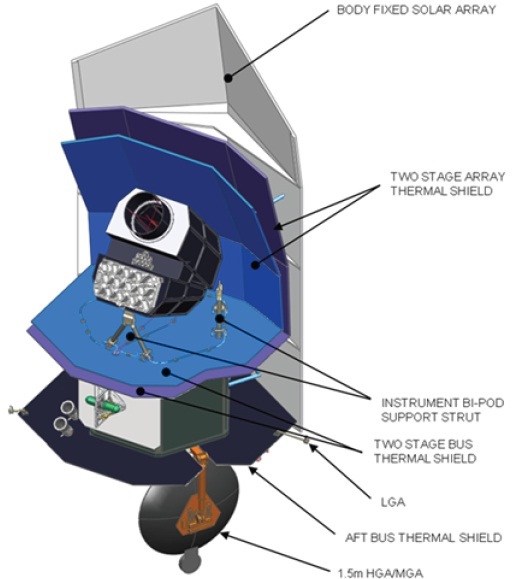 Sentinel is a space-based infrared (IR) survey mission to discover and catalog 90 percent of the asteroids larger than 140 meters in Earth’s region of the solar system. The mission should also discover a significant number of smaller asteroids down to a diameter of 30 meters. Sentinel will be launched into a Venus-like orbit about the sun which significantly improves the efficiency of asteroid discovery during its 5.5 year mission. SAN FRANCISCO, CA (B612 PR) – In a press conference at the California Academy of Sciences Thursday morning, the B612 Foundation unveiled its plans to build, launch, and operate the first privately funded deep space mission – SENTINEL – a space telescope to be placed in orbit around the Sun, ranging up to 170 million miles from Earth, for a mission of discovery and mapping. The Foundation leadership and technical team include some of the most experienced professionals in the world to lead this effort. What: Press Conference to Launch the B612 Foundation and Sentinel Space Telescope Mission-the first privately funded deep space mission. Announcement: On June 28, 2012, the B612 Foundation will announce its plans to build, operate and launch the world’s first privately funded deep space mission–a space telescope to be placed in orbit around the Sun. We will create the first comprehensive dynamic map of our inner solar system showing the current and future locations and trajectories of Earth-crossing asteroids, paving the way to protect the Earth from future impacts and opening up the Solar System to future exploration. The B612 Foundation (www.b612foundation.org) aims to build, launch, and operate the world’s first privately funded deep space telescope mission to create the first comprehensive dynamic map of our inner solar system, identifying the current and future locations and trajectories of Earth crossing asteroids. Mapping the great unknown of the inner solar system is the first step to opening up this next frontier. The B612 Foundation believes that humanity can harness the power of science and technology to protect the future of civilization on this planet, while extending our reach into the solar system.